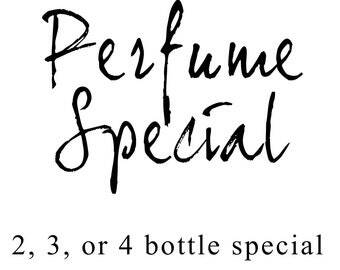 Please list the 5 fragrances you would like to try. Simply enter "Bestsellers" if you'd like me to send my current top sellers. Chic little "Mini Mister" bottles filled with 2.5 ml of Wylde Ivy perfumes. At only two and a half inches tall and a half inch in diameter, these little bottles can go anywhere with you! These adorable little bottles are also refillable, so you can always have a small bottle of your favorite Wylde Ivy Perfume with you! 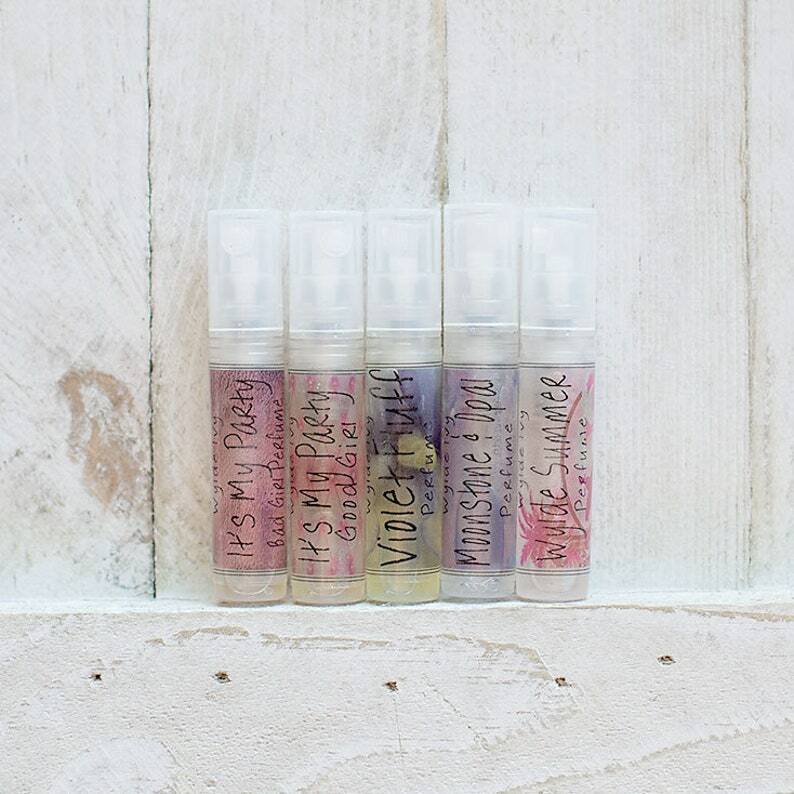 Just like our full sized perfumes, these Mini Misters feature gorgeous full color labels, each unique to the scent! Each Mini Mister holds enough product for approximately twenty sprays. Generous samples delivered quickly. Roan Apple is especially nice. Wyldeivy scents are so amazing!